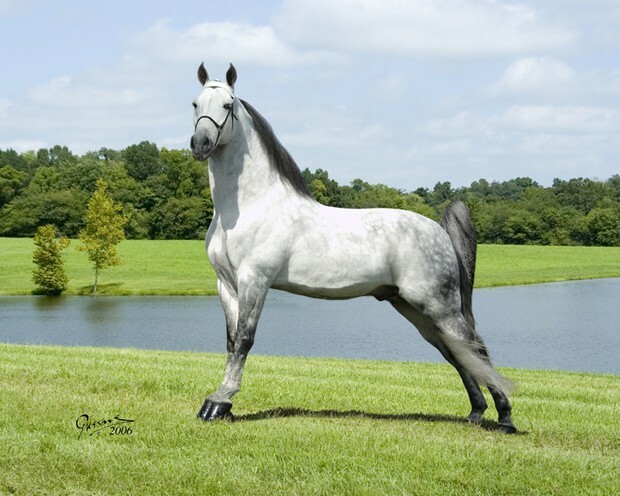 The Tennessee Walking Horse was created in the Middle Basin of Tennessee, by breeding Standardbreds, Thouroughbreds, Morgans, Saddlebreds, and Canadian and Narrangansett Pacers. 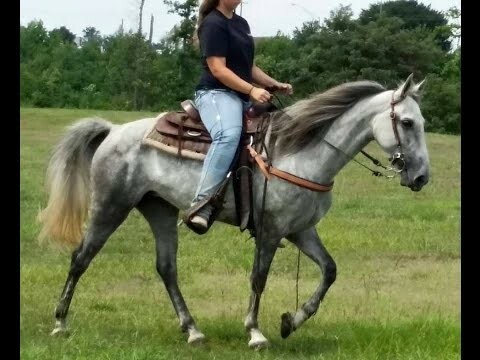 Originally bred as a utility horse for riding long journeys, driving, and light farm work, it is best suited for recreational riding because of its smooth ride and gentle disposition, because it is a gaited horse. Generally ranging from 14 to 17 (average of 15.2) hands and weighing 900 to 1200 pounds, the Tennessee Walking Horse has a long neck, short back, well built hind quarters, sloping shoulders, slender but strong legs, and sound feet. Their heads are long and pretty, with refined, bright eyes, prominent nostrils, and pointed, well-shaped ears. Their manes and tails are often left long and flowing. 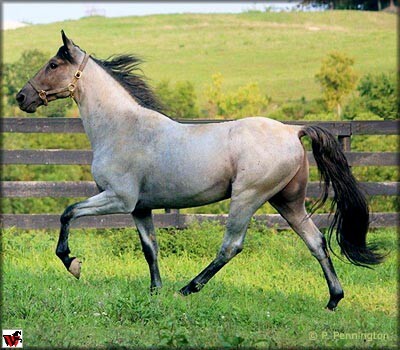 The Tennessee Walking Horse also comes in a large variety of colors, one to please everyone, as there is no color discrimination- brown, black, bay, chestnut, roan, buckskin, palomino, white, spotted, and gray. The most recognized characteristic of the Tennessee Walking Horse is their smooth "running walk": it is inherited, and cannot be taught to a horse that doesn't possess the trait naturally unless through soring, which gives the horse a "big lick" and uses very strong chemicals to cause the horse leg pain to lift his legs high. The "running walk" is a square, four beat gait with a gliding motion, with the horse bobbing his head to the cadence of his feet, and some will even snap their teeth in time. When the Tennessee Walking Horse performs the "running walk", they overstride, which is placing the back hoof ahead of the forehoof print- by 6 to 18 inches. At this pace, the horse can cover 10 to 20 miles per hour. 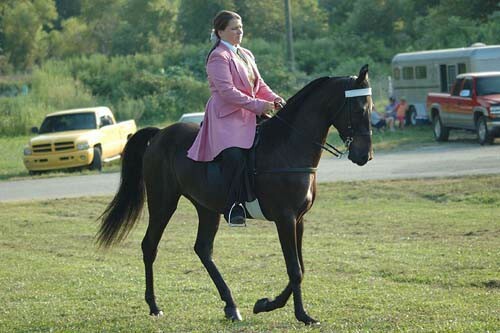 One of the other gaits the Tennessee Walking Horse is known for is the "flat foot walk", which is a slow, bold, and four cornered and even gait. The hooves hit the ground separately at regular intervals, and also overstride. Both the head bob to the beat of his feet and the overstride are unique to the Tennessee Walking Horse, and are two things judges take into large consideration when judging one of these amazing horses.